I love photographing weddings in Sheffield, especially in Whirlowbook Hall – one of our favourite wedding venues in Sheffield. Autumnal weddings are fantastic – the light, the colours and amazing couples like Rob & Scott make it worthwhile! 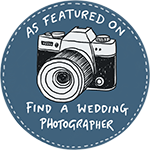 I met them both getting ready upstairs at Whirlowbrook – they had fantastic suits with cute cufflinks and it was lovely to see them helping each other and getting excited about the ceremony. Downstairs guests were arriving to beautiful Autumnal details. The ceremony itself was fantastic with lots of love and laughter – the most amazing birds of prey as ring bearers! Afterwards guests headed out into the Autumn sunshine for confetti, photos and a display by the birds of prey which was amazing! In the evening after the meal and emotional speeches we celebrated bonfire night with sparklers and a performance by a fire dancer – what a way to end the night! We wish you both many years of love and laughter – what a fantastic day!